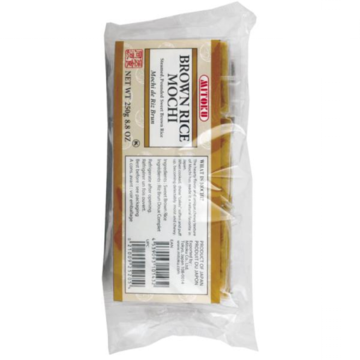 Natural Import Company - Traditional Japanese foods - Mitoku Brown Rice Mochi - 8.8 oz. Mitoku Brown Rice Mochi - 8.8 oz. Ingredients: whole-grain sweet brown rice.